Trent Alexander-Arnold was hailed as the star of the tie after two top-notch performances as Liverpool beat Man City in the Champions League. 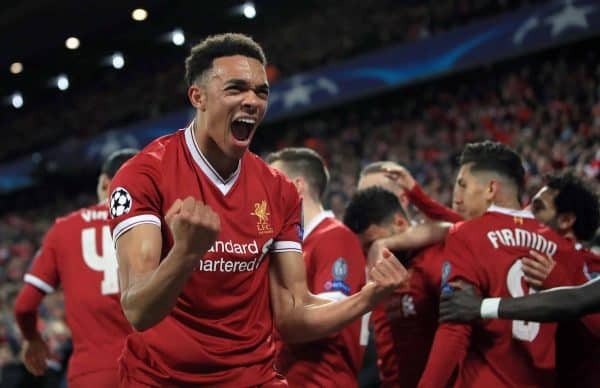 The teenager put a couple of difficult recent displays behind him to completely shackle Leroy Sane in the first leg at Anfield, earning a Man of the Match award. And at the Etihad on Tuesday he faced a similarly tough night, but was again near-faultless, an impressive feat considering how much emphasis City put on getting Sane isolated against him. 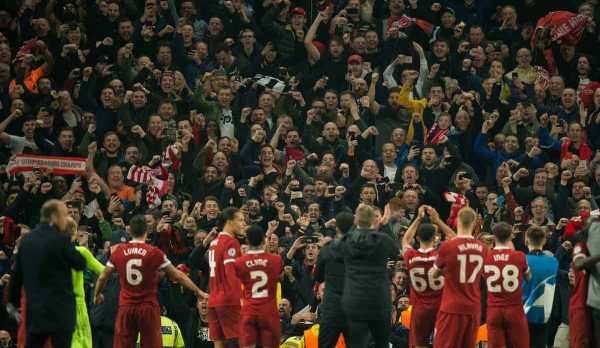 Alexander-Arnold received recognition after the match, with Steven Gerrard singling him out for praise. “Look at his age, the magnitude of the game over both legs, who he was up against,” Gerrard told BT Sport. The former Reds skipper also noted the trust that Jurgen Klopp placed in the 19-year-old to play in such a game, particularly after Alexander-Arnold picked up an early yellow card. “He has to be the star man over two legs. Rio Ferdinand also highlighted the technical strengths the No. 66 showed in both halves of the pitch. “One vs. one especially he was brave, on the front foot defending against a super talent in Sane, he looked so comfortable,” he explained. There were also the first murmurings of an England call-up for the teenager, who trained with the seniors in the last international break, and Frank Lampard feels he has a chance of gatecrashing the squad. “He’s timing his run [of form] brilliantly. His calmness on the ball, we’re trying to play out from the back with England and the boy’s so comfortable on the ball,” he enthused.